2016 is truly amazing for me. I've finally complete another adventure. All thanks to Indonesia Tourism for the arrangement and hospitality. This 11 days journey is truly amazing for each of us. We managed to visit 4 cities of Indonesia in total for this time which is Makassar, Lombok, Banyuwangi and Bandung. Obviously, 11 days is not enough to visit all of the places. Indonesia has so much more to discover. I've been to Bali Island 3 years ago, but not the rest of the cities in Indonesia. Well, I'm still glad i get to discover some of them this trip. When you think of Indonesia, most people would probably just “Bali,” but there are SO many more incredible islands to discover (over 17,000, in fact). Here's one of a beautiful island i've been in Makassar - Kodengareng Keke Island. Makassar is located at South Sulawesi Indonesia, approximately 2 hours 25 minutes flight from Jakarta. 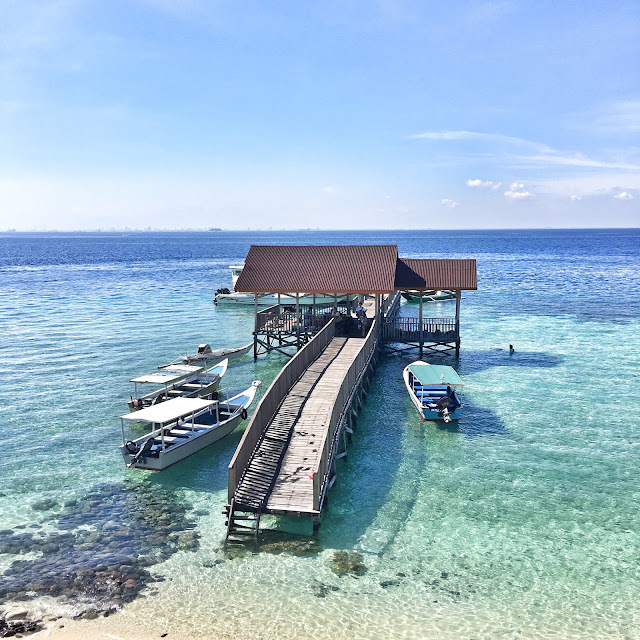 There is a beautiful little gem of an island with crystal clear water and white sandy beaches called Kondingareng Keke Island just 30 minutes by boat from the capital city of Makassar. From Makassar, you need to rent a boat from the ports of Makassar to take you to Kodingareng Keke. The return boat trip from Makassar to the island cost approximately IDR 400,000-600,000. Blue sky blue ocean is all i need. Love this place, most of my photos are taken with my iPhone 6s. So effortless. We spent a few hours in the island and took hundreds of photos. Everywhere is just so Instagram worthy baby! Hahaha. No matter how good it feels, don't forget to load up on sun protection with a strong. When you're lathering up the sunscreen, don't forget your face and sunglasses on! If you love beach vacation, this is a place where you cannot miss when you are in Makassar! OMG! Love your shots Karen. Effortlessly taken!